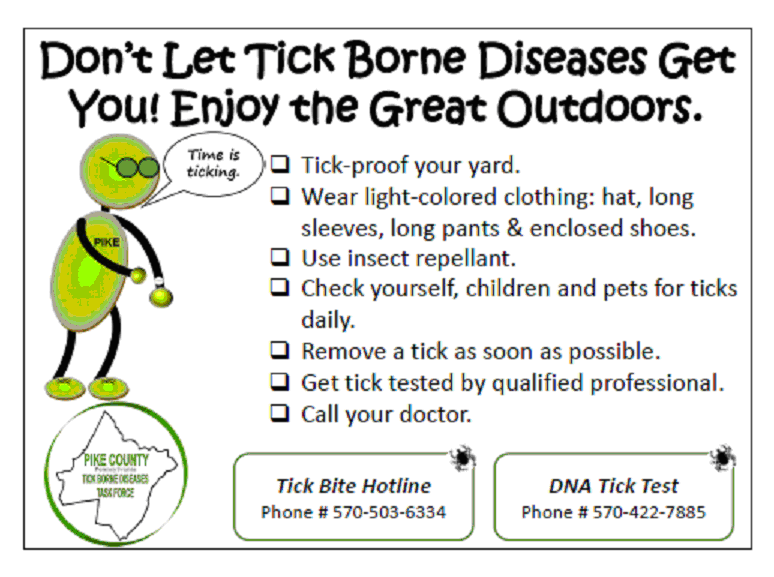 If you have seen a doctor as a result of a tick bite, please take a minute to complete this questionnaire. In order to be considered for grants to address this endemic crisis in Pike County, statistics must be included and the data needs to be compiled. Completed questionnaires can be mailed or faxed to Dingman Township which will see that the Task Force gets them.